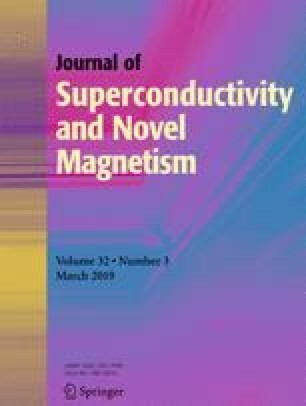 The phase diagrams and magnetizations in four transverse Ising nanoislands with an antiferromagnetic configuration and a ferromagnetic spin configuration are examined by the use of the effective field theory with correlations. They exhibit the same behaviors for the magnetic properties. Some characteristic phenomena, such as the reentrant phenomena, are found in the magnetic properties. The phenomena come from the frustration induced by the finite size of the systems. When h ≠ 0.0, 1.0 > F(2.0J). Accordingly, the magnetizations must be m = 0.0 and m1 = m2 = 0.0, when T > 0.0. When h = 0.0, the function is given by F(2.0) = tanh(2.0t), so that the transition temperature (TC) must be given by TC = 0.0 K, in order to satisfy the relation of 1.0 = F(2.0J). Thus, the two-dimensional nanoparticles in Fig. 1 do not exhibit a finite magnetization at a finite temperature (m = 1.0 at T = 0.0 K and m = 0.0 for T > 0.0 K), as noted in Section 1. Equation (21) is nothing but (6) for systems A and B. In this way, the phase diagrams of systems C and D depicted in Fig. 10 are completely equivalent to those given in Section 3. On the magnetizations of the two (C and D) systems, the results of system B given in Section 4 (Fig. 8) are also valid for these two systems, although, at first sight, the coupled equations ((19) and (20)) seem to be different from the coupled (7). In Fig. 11, the thermal variations of mT (solid line), m1 (dashed curve), and m2 (dashed curve) are plotted for system C with h = 0.0 and r = 5.0, by solving the coupled (20) numerically. In fact, these results can be also obtained by solving the coupled (19) and (7). Furthermore, the behavior of m1 in the figure is completely equivalent to that of m in Fig. 7 (or the curve labeled r = 5.0) for system A.